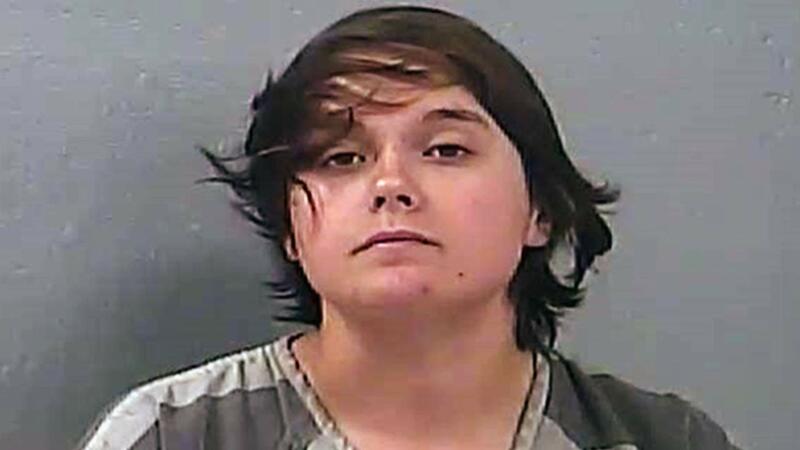 SPRINGFIELD, MO -- Police say a 19-year-old Missouri woman allowed her intoxicated boyfriend to drink her blood then stabbed the wannabe vampire during a subsequent argument. Victoria Vanatter of Springfield pleaded not guilty Monday to charges of first-degree domestic assault and armed criminal action in the Nov. 23 incident. Police say Vanatter told them she agreed her boyfriend could slice her arm with a box cutter and drink her blood. But then the two argued and Vanatter stabbed her boyfriend in the shoulder. When police arrived at their home, they discovered the bloodied couple and "I'm sorry" inside a heart scrawled in blood on the wall. Vanatter warned an investigator that she has the potential to become a serial killer. Both were treated at a hospital. Vanatter is jailed on $150,000 bond.